ZooKazam is the exciting app that allows your kids to experience animals in an interactive and unique way. Watch animals move in endless environments, capture images and videos, hear descriptions, alter the “situation” and more! ZooKazam is an incredibly realistic and engaging app that the whole family will love. 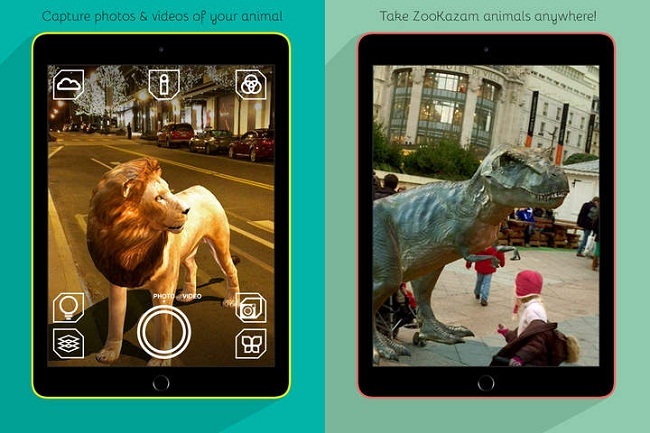 ZooKazam is a stunning Augmented Reality app that does not require a printed marker. Now you can use just about any surface to create your own AR marker. Imagine watching a giraffe stand on computer keyboard or a horse that’s on top of a newspaper. The possibilities are limitless. The technology of the future is here now. How does it work? Once you’ve downloaded and installed the app on your phone or mobile device, simply point your phone at a paper target and watch the animal of your choice “materialize” out of thin air as a photo realistic 3D animation! These animals look incredible, and really allow your child to not only learn about, but interact with the animals they are studying or interested in. Why just read about a zebra when you can watch it roam down a city street? 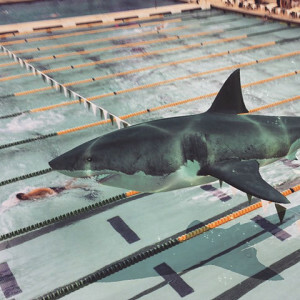 Watch a great white shark swim in a public pool or an eagle soar high above the earth. With ZooKazam, it’s all possible! Your kids will love dreaming up places the animals can explore. With 41 animals to choose from and limitless places for your animals to “roam” ZooKazam can be a whole new user experience each and every time you interact with the app. The 3D animals are incredibly realistic and you will love watching them move. You can even circle around the animal. Another exciting feature (if watching animals crawl across your coffee table isn’t exciting enough…) is the weather feature. Change the weather surrounding your animal. Watch the animal move in rain, snow, or at night. ZooKazam is just $2.99 and is available for the iPhone and the iPad. Grab it HERE. Need to find the app in the Google Play store? You can find that HERE. Seriously – go get this app! You’re going to have so much fun! Happy playing!